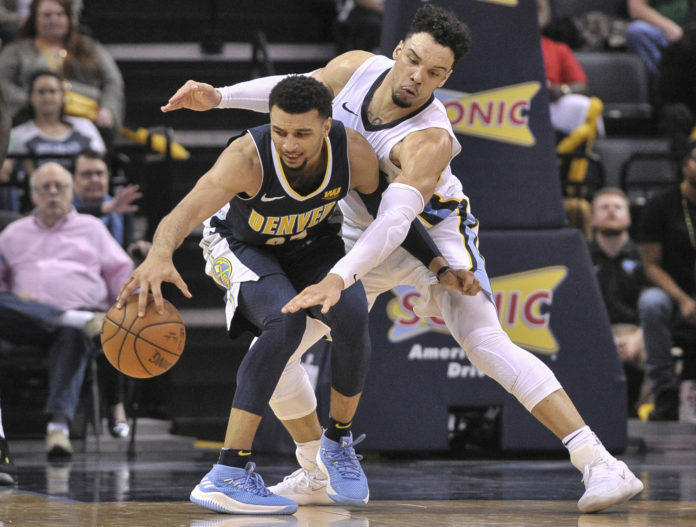 Coming off of a much-needed home win against the Detroit Pistons, in which the Nuggets lost their leading scorer, Gary Harris, for a few games due to a right knee strain, Denver began a seven-game road trip against the Memphis Grizzlies. Denver came into the game at 38-31 and on the outside looking in of a heated playoff race as the ninth seed, but after a 94-104 loss to the Memphis Grizzlies — losers of 19 consecutive games — Denver has now reached a new low. Denver started out the game very slow as they were trailing 17-34 after the first quarter to the team with the worst record in the NBA. 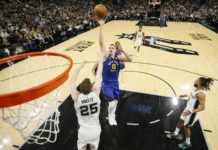 They lost the offensive rebounding battle, didn’t rotate the ball well, and struggled mightily as Nuggets’ head coach Michael Malone had to burn three timeouts in the first quarter as his team just couldn’t find a rhythm. The second quarter was a quarter that Denver started to come alive. They trailed by as many as 21 points, but went on a 16-3 run to end the quarter and went into the break down 48-53. Jokic went into the half with 15 points, four rebounds, two steals and two blocks as Denver ran their offense through the big man. 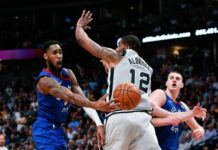 Will Barton who went to school in Memphis and got the start for the injured Harris, added eight points, five rebounds and two blocks as him and Torrey Craig started a spark that ignited Denver. At the half, it was assistant coach Micah Nori that had some choice words for the team. In the third quarter, Murray got Denver on the board first, but it was Memphis that controlled the quarter from beyond the arc as they started with a 9-0 three-point barrage. Dillon Brooks had four three-pointers in the third quarter alone to pace his 24-point night. Denver made adjustments in the quarter and went into the paint more as you can see from having shot 29 free throws heading into the fourth, but still trailed at the end of the third quarter 75-84. Upcoming was a crucial fourth quarter for Denver who was still in the midst of a playoff race. The fourth quarter was where things looked as if they would turn for Denver as Devin Harris finally got going. After Craig forced a turnover, it was Harris who started Denver’s 11-3 scoring run. 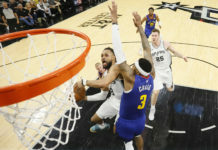 He had eight points in the fourth quarter alone and kept Denver alive, but late in the game, it was Denver’s ineptitude offensively that lost Denver the game. There were forced shots, six turnovers and defensive lapses to close out the game. The inefficiency from Denver’s starting guards happened to be a key turning point in the game. Barton and Murray combined to go 8-31 from the field and the physicality from Memphis proved to be too much. This wasn’t the way that Denver wanted to start their seven-game road trip and they saw their playoff hopes take a massive blow.